Have you ever considered what you wear as art. We all watch the awards pre-shows to see the gowns, shoes and jewelry. Fashion meets art. I love to people watch at the mall and airports and study what people are wearing. Plus we have all gone to museums that featured fashion. Accordingly the Smithsonian Institution list the First Ladies Exhibition as one of the most popular attractions. On every trip I make a pilgrimage to see the stunning inaugural gowns. How about you? Just this past weekend I visited a beautiful fashion boutique in Asheville. Bellagio Art to Wear located in Biltmore Village. It is very much like a museum with curated windows that turned so that either side could be either a store/window display. If you wanted to see something that was in the window, all they need do was turn the display. 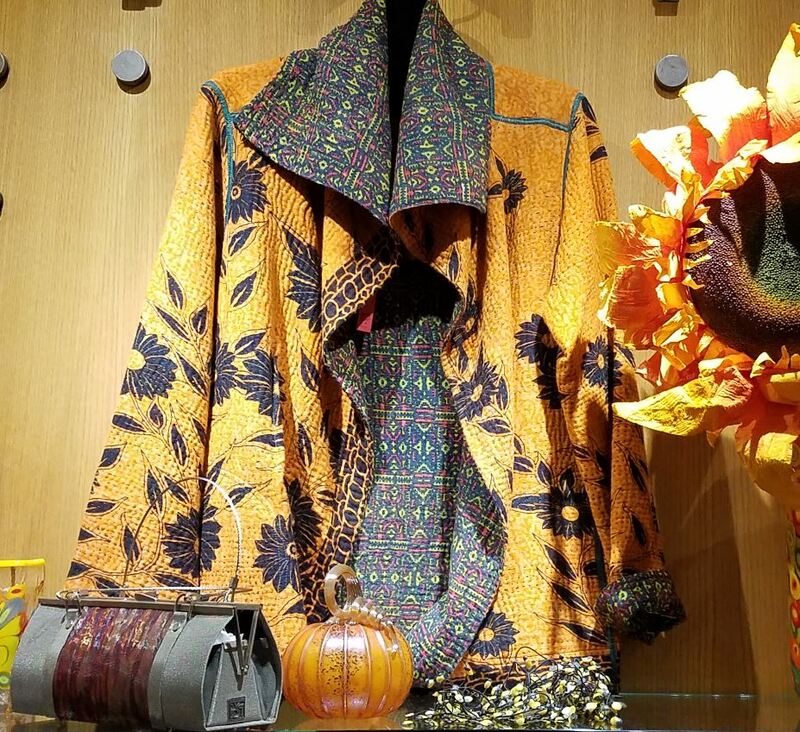 Matching fashion items hang in glass display cases through the boutique showing, tops/dresses, shoes, handbag and jewelry. Many displays would have an antique statues or art items shown as well. All of the jewelry is artist-made with many items being one-of-a-kind pieces. Most all of the pieces were expensive so not a boutique where Rhonda is getting her next dinner ensemble. However, it gave me reason to think that all of us should consider our fashion to be art. Let's express ourselves and not be boring. Are we not already expressing our self - Our choice to be feminine. Yes the feminine differential. Plan, shop, choose, and show you passion of fashion as art.